It seems like the world is obsessed with Kim Kardashian and Kanye West. Either you love them or you hate them. Either way you are still talking about them and in 2014 buzz (good or bad) is pretty much all you need to start a career as a celebrity. 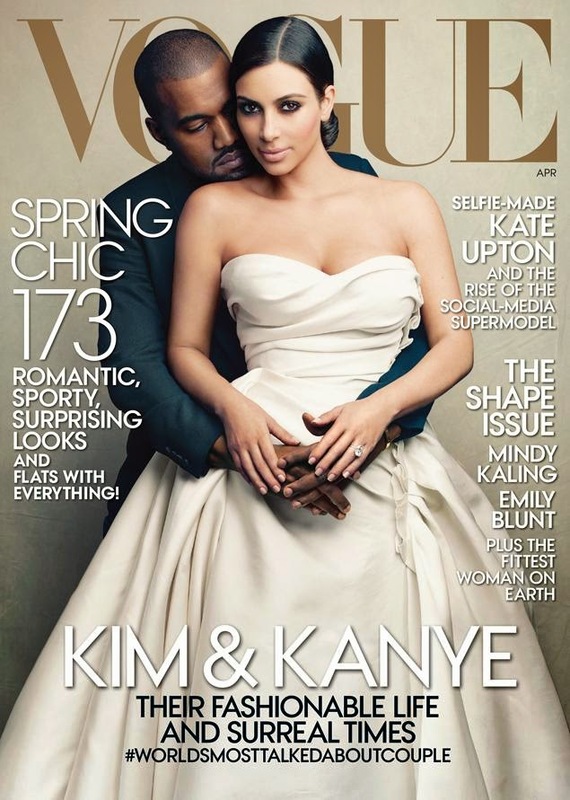 Just when you thought Kimye could not possibly do anything more to get huge media attention, they land on Vogue's April 2014 cover (in wedding outfits)! Even baby North got in on the Vogue action! Of course with major achievement comes a gaggle of haters especially if you are a Kardashian/West. The social mediasphere is filled with people who are outraged and appalled that Vogue's Editor-in-chief Anna Wintour put the power couple on the issue of many people's "fashion bible". The thing with haters is that they love to complain but they also love to watch and read about the people they are complaining about. The people who claim they are going to cancel their subscriptions to Vogue will probably never do that because that requires some effort and we know many haters who love to do nothing more than do nothing (except hate). Anyone who knows me, knows that I love the Kardashians and that I LOVE KIM K (Why do you think I went ombre haha). I am actually excited for Kim and her accomplishment because it is not easy to climb to the top, especially when millions of people claim to hate you. 'Part of the pleasure of editing Vogue, one that lies in a long tradition of this magazine, is being able to feature those who define the culture at any given moment, who stir things up, whose presence in the world shapes the way it looks and influences the way we see it. 'As for the cover, my opinion is that it is both charming and touching, and it was, I should add, entirely our idea to do it; you may have read that Kanye begged me to put his fiancée on Vogue’s cover. He did nothing of the sort. The gossip might make better reading, but the simple fact of the matter is that it isn’t true. 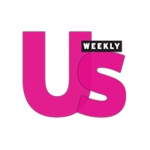 Can we talk about how Anna called them the Kardashian Wests (obsessed with that)?! I completely agree with Anna on this. There are going to be tons of people who want to read this feature and then there will be tons of people who are annoyed that this happened and want to read the feature just to see the photos and see what was said. Either way, you are talking about (and reading) Vogue as well as Kimye. It is like When Barbara Walters does her "Most fascinating People" show at the end of each year. Some of the people on the list make people say "Why are they on the list?" but usually they are a person who has been talking about, mentioned in countless amounts of jokes, or covered heavily in the media that year. I love Kim and I have met Kanye at Carine Roitfeld's NYC premiere after party for Mademoiselle C. The room was dark and I went up to him and simply said, "I just wanted to say that I love your style." He said, "Thank you! What's your name?" I said, "Jonathan." He then said "I'm Kanye, nice to meet you" as he extended his hand so we could shake. The party was filled with A-listers in the fashion world and he was kind enough to take the time to shake hands with me. That is my nay Kanye encounter but I have to say that I was blown away with how nice he was. He may come across as self absorbed in the media but I think if he was actually that way there would be no way he would have offered his hand and said "I'm Kanye." He would have maybe said "Thanks" and kept it moving because who doesn't know Kanye, right? Also he asked me what my name was which is really crazy because most celebs almost never ask that question! They just take the compliment and go about their lives. That being said I am sure Kim and Kanye are nice when it matters and for that reason I say good for them on being on Vogue! There are certainly other people that may or may not be mentioned on the same cover that may or may not have been really rude to me that act all sweet and approachable in the media. I think it is all about how you treat the fans and the everyday people. In conclusion, Anna knows what she is doing and she does it so well! Frankly I was way more shocked that they are doing a spring story where every look is paired with flats (GASP)!